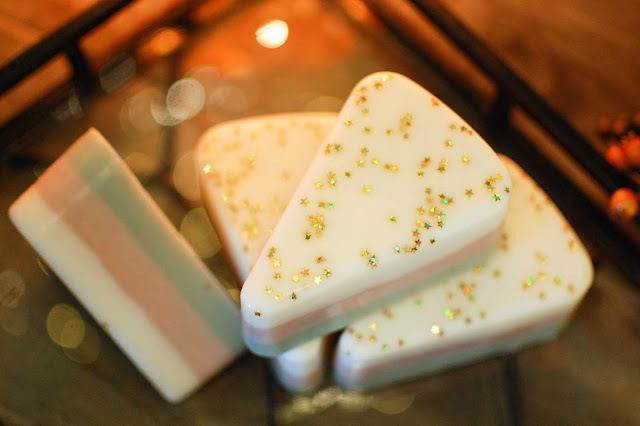 I was raving about Vintage Chic Scent's Edelwiess a haul or two or three ago (and really, probably every time I talk about VCS) and I noticed there were plain Edelweiss pie slices on the website. I scooped up four and gifted one of them to my sister to share the love. 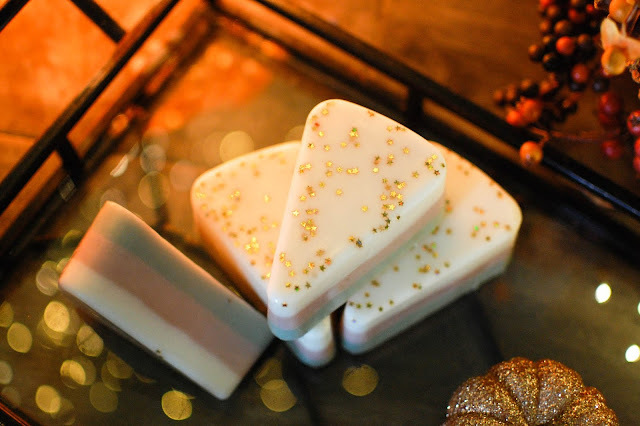 These layered pie slices run $4.80 and are about 5 ounces of wax. There are still some on the website right now. 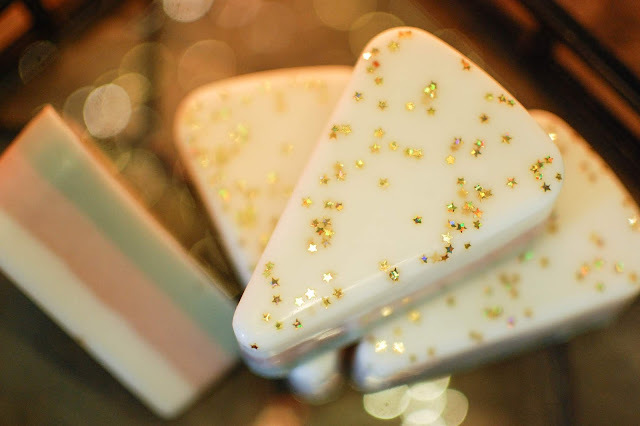 Edelweiss mixes up gingerbread cake and tops it with cream cheese frosting. Normally I am not a fan of cream cheese anything in wax but in this scent there is no hint of sour milk. This smells just like it says, rich and moist gingerbread cake and frosting. The spice is nice and warm and it throws well. And look how lovely it is?! I did talk briefly about apple cider when I was reminiscing about my wonderful apple cider experience in NYC. That is still my favorite apple cider to date. I do have chilled apple cider in the fridge as I type. We normally get the Honeycrisp version but I did the plain Jane version this time. Savanna and I love to sip it ice cold. I like to use apple cider in my pie crust when I make apple pie. I also like to braise pork roasts in apple cider. I have a recipe here for some Cider Braised Pork Roast. Apple cider in the form of home fragrance is always something I enjoy too. Bath & Body Works Spiced Apple Toddy was one that made my mouth water. Do you enjoy apple cider? Do you cook with it? I just had apple cider for the first time this year this weekend - my mom had a pot going before Thanksgiving dinner. :) I like some hard ciders as well (like Strongbow; not sure if you're familiar with it - it's pretty popular in Canada) but there'sound like they smell pretty darn scrumptious, too.s just something nice about a warm - or cold - glass of cider. They are totally precise. Almost perfect.